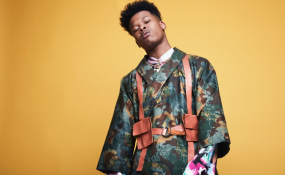 South African hip-hop star, Nasty C will be coming to Zimbabwe for the second time on 27 April to grace King 98's "Francesca" album launch at Wingate Golf Club. Local car rental giants, Impala Car Rental who organized Nasty C real name Nsikayesizwe David Junior Ngcobo first show in the country last year are behind the concert again. Speaking to 263Chat, King 98's manager Simbarashe "DJ Simmz" Chagweda said Nasty C was impressed with the hospitality he received on his first visit and has always been yearning to come back to Zimbabwe. "Nasty C was happy with the way we hosted him on his first visit to Zimbabwe and since that visit, he has always been talking of coming back to this country. We saw the opportunity to rope him back again on King 98's album launch and this is why we are here," said Chagweda. Also expected to grace the album launch is Nadia Nakai, Shashl, Tammy Moyo and Union 5. "With the artist line-up, we have chosen Zimbabweans whom we as fellow countryman are failing to support despite them making notable impact and recognition beyond the borders. We are just trying to support our own," he said. On his debut performance in the country, the 21-year-old South African star unleashed a sterling act that left hip-hop fans in attendance yearning for more. Meanwhile, King 98 recently released a single titled "No Bad Vibes" which features Nigerian superstar Davido.